Blog :: Portia P. Rounds Out the Year as Our April Star of the Month :: Read Naturally, Inc.
Congratulations, Portia P. from Bel Air, MD, on being named Read Naturally's Star of the Month for April, 2017. Portia is a fourth-grade student at Harford Day School. Her teacher, Ky Katsafanas, nominated Portia not only for her success in reading but also for the success she has seen in other classes. Take a look at the wonderful things Mr. Katsafanas had to say about Portia. Portia P. is an amazing, impressive, dedicated, tenacious student. I began working with her in the Fall of 2016 and immediately recognized that she would benefit from Read Live. Dyslexic, ADHD and an anxious child, Portia has always worked hard both in and out of school. In October 2015, she began using Read Live in my before school Reading Club at the Sequenced Level 2.0. Not only has her fluency greatly improved, but her ability to summarize what she has read and type an accurate retell has grown tremendously. Her first retell was 16 words long. By the end of third grade, Portia was working at the Sequenced Level 3.0. I held a training for parents before school ended so that my students could continue to progress in Read Live over the summer and entered my parents as parent helpers. Portia's mom and her tutor helped her continue working with the program during the summer of 2016. 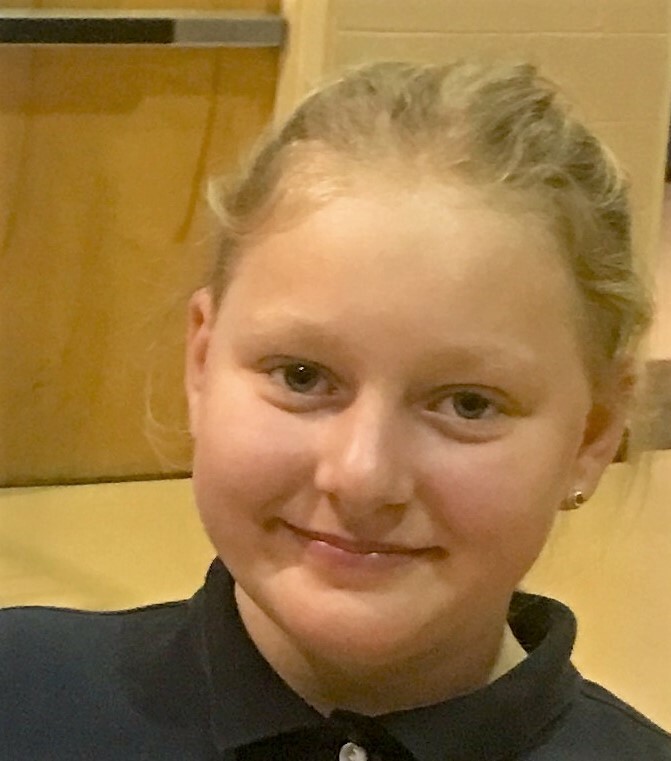 When Portia began fourth grade, she started receiving letter grades. This is a huge transition in our school. Read Live has helped Portia achieve outstanding report cards this year filled with A's. Since she began using Read Live, she volunteers to read in class more frequently, participates in class discussions and is able to summarize what she reads. However, perhaps most importantly, it has built Portia's self-confidence. Portia is a valued member of our school's Engineering Club and Chess Club. She also plays soccer and does ice-skating outside of school. This year, she has continued using Read Live in Reading Club. At the end of April 2017, she finished working on Sequenced Level 4.5 and transitioned to Sequenced Level 5.0. Her retell had 77 words, all of which related to the main ideas in the story about Neil Armstrong. Her retells have grown in length, but more importantly, they are organized and focus on the main ideas of the story. Portia is an incredible student. Read Live combined with her determined, dedicated personality has helped her excel and reach her potential. I cannot wait to see what Portia does in 5th grade! We are so proud to have her at our school. Congratulations Portia! All your perseverance and hard work has paid off! It has been a pleasure to watch you grow into an incredible student and amazing individual!